Photos! Kailyn Lowry Gets a New Tattoo! This ‘Teen Mom 2’ star is not afraid of ink, that’s for sure. Kailyn has several tattoos large and small including an impressive full sleeve on her left arm. 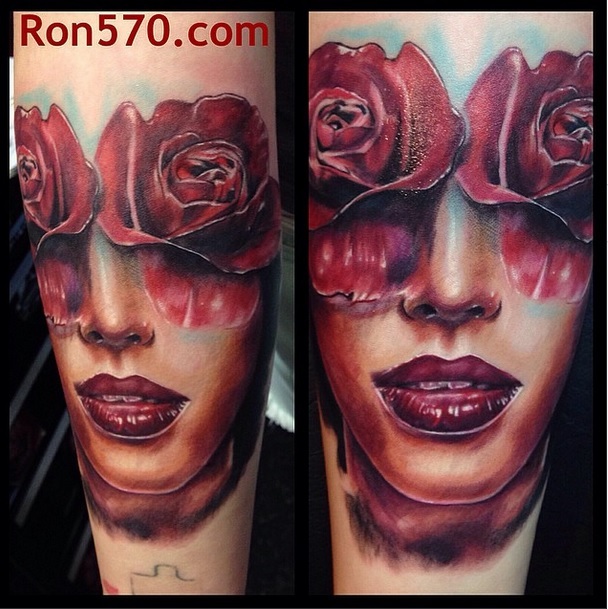 A couple of days ago she shared her latest addition, a woman’s face with two roses covering her eyes on her right arm. Kailyn already has a small heart tattoo that she got with rest of the girls from ‘Teen Mom 2’ and a small puzzle piece on her right wrist. The puzzle piece she has been working on removing but will probably end up covering it up if she decides to do a full sleeve on her right arm as well. Previous Previous post: Photo Gallery! Catelynn Lowell Baby Bump Pics!